At the start of the nineteenth century, Passenger Pigeons were perhaps the most abundant birds on the planet, numbering literally in the billions. The flocks were so large and so dense that they blackened the skies, even blotting out the sun for days at a stretch. Yet by the end of the century, the most common bird in North America had vanished from the wild. In 1914, the last known representative of her species, Martha, died in a cage at the Cincinnati Zoo.This stunningly illustrated book tells the astonishing story of North America’s Passenger Pigeon, a bird species that—like the Tyrannosaur, the Mammoth, and the Dodo—has become one of the great icons of extinction. Errol Fuller describes how these fast, agile, and handsomely plumaged birds were immortalized by the ornithologist and painter John James Audubon, and captured the imagination of writers such as James Fenimore Cooper, Henry David Thoreau, and Mark Twain. He shows how widespread deforestation, the demand for cheap and plentiful pigeon meat, and the indiscriminate killing of Passenger Pigeons for sport led to their catastrophic decline. 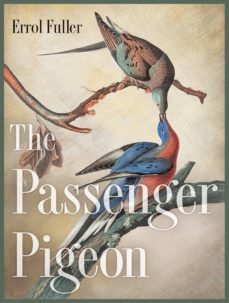 Fuller provides an evocative memorial to a bird species that was once so important to the ecology of North America, and reminds us of just how fragile the natural world can be.Published in the centennial year of Martha’s death, The Passenger Pigeon features rare archival images as well as haunting photos of live birds.